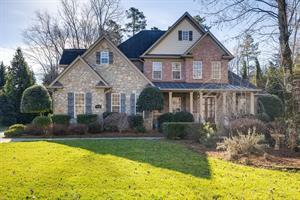 Gorgeous home in Ravenscroft Community! 4 bedrooms plus a downstairs office. Upgraded kitchen overlooks entertaining living area. Upstairs loft and spacious secondary rooms. Massive walk in closet in the master suite. Accessible upstairs and downstairs balcony along with a 2-car garage. Apply today!! Popular Lawson subdivision! (Pics are from prior to current resident--photos will be updated once home has been vacated.) Home has 3200 s.f. with 5 BR (or 4 + bonus) and 3.5 baths. Beautiful hardboard siding. Elevated covered front porch makes for great curb appeal! Gleaming hardwood floors are throughout the main level. Office with french doors. Chef's gourmet kitchen has double ovens, gas cook top and oversized island. Stainless steel appliances include refrigerator. Upper level has 4 BRs plus bonus (or optional 5th BR) and 3 full bathrooms. The bonus/5th BR has its own private full bath. An oversized deck overlooks a wooded back yard. This highly popular community has swimming pools, fitness center, tennis courts, playground and walking trails! Rare find! Ranch home in the heart of Weddington on over 2 acres! Home has been updated with modern appeal. Beautiful hardwood floors are throughout the entire home, which offers sought-after open floor plan and architectural features such as painted brick hearth, built-ins, and ceiling beams. Kitchen has tons of cabinets and countertops, stainless steel appliances. The home offers ~2000 s.f. of living space, with 4 BRs and 2 full baths. Highly desirable Weddington area with some of the highest rated schools! 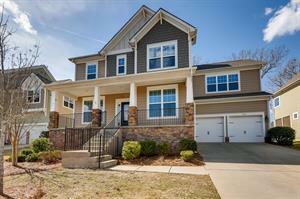 3 BR + LOFT, 2.5 bath home located in Clover, SC in Oaks at Clover subdivision! Home has a fantastic upgraded kitchen w/ stainless steel appliances including double oven and refrigerator. Lots of living space includes a huge family room open to dining room area. Upstairs are 3 very spacious bedrooms and a loft which can be used as a second den. Incredible owner's suite w/separate bath and shower & double sinks. Huge walk-in closet. Back yard has patio and private backyard. 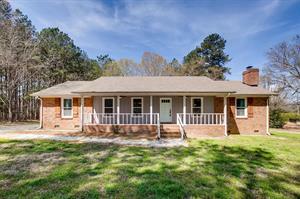 Lease this charming brick ranch that has tile floors and stunning hardwoods throughout the home. Gorgeous upgraded kitchen with quartz countertops and stainless steel appliances. Expansive great room great for entertaining. Fenced in backyard on a Cul-de-sac street. Close to 485, 77, dining, & shopping. Apply today! Superb 3789 s.f. home with 5 BRs + BONUS and 4 full baths, and 3-CAR GARAGE! Located in Foxfield subdivision in Mooresville, this wonderfully upgraded home has a guest bedroom and a full bath on the main level. Open floorplan has wide plank floors throughout the main living areas including spacious dining room with coffered ceiling, office with french doors, cook's kitchen and the great room. Kitchen has modern cabinetry, granite counter tops with fantastic center island and stainless steel appliances including a gas range to please any cook. Step out an expansive deck that is half covered and has outdoor ceiling fan. The backyard is very private with mature trees on this desirable wooded lot. Upstairs the master suite has its own sitting room to escape to and a luxury bath with corner tub, oversized glass shower, separate vanities and his and her closets. A huge bonus room with its own full bath makes a great game room (or even a 6th BR.) There are 3 secondary bedrooms and a 4th full bath. This home offers lots of storage and an oversized driveway. ALL REALTORS ARE WELCOME TO SHOW THIS STUNNING HOME! Live in the River Hills gated community! This 3 bedroom, 2 bath home has a modern kitchen with granite counters. Formal dining and living rooms. Large open family room with floor to ceiling windows. Owner's suite has been updated and offers a walkout to deck. 2 large secondary bedrooms, all bedrooms have hardwood floors. 2 car attached garage on a quiet cul-de-sac location with yard. The community has a lot to offer and the location is great!